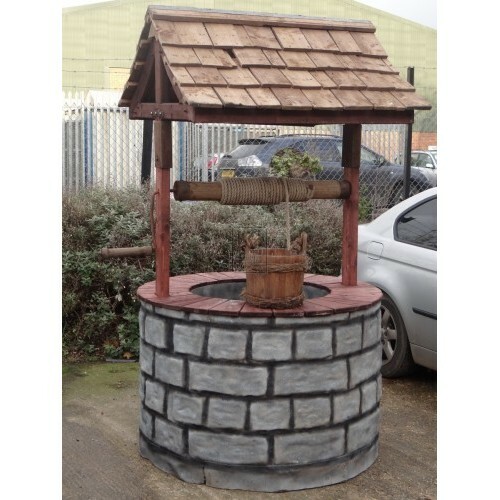 Description Have your own Wishing Well for your event, scene or set. 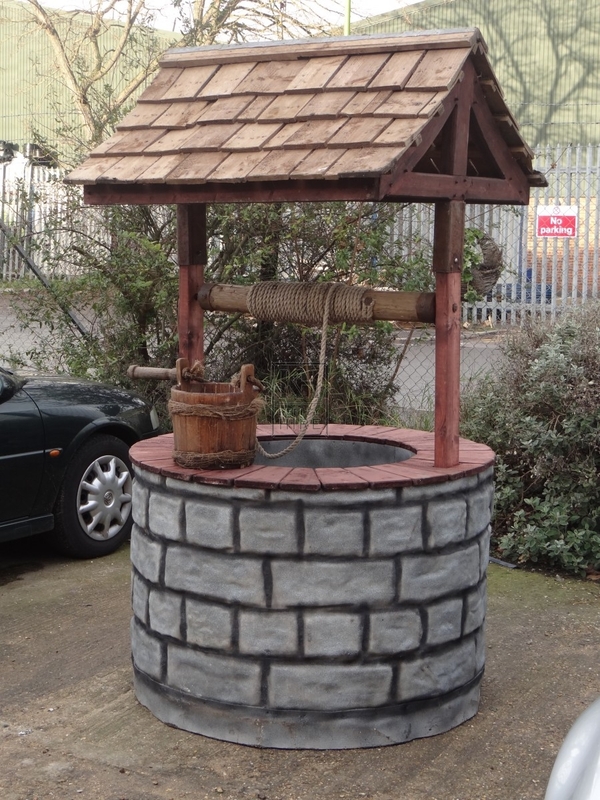 This is a great classic looking wishing well. This prop is compiled of three sections for ease of transportation. 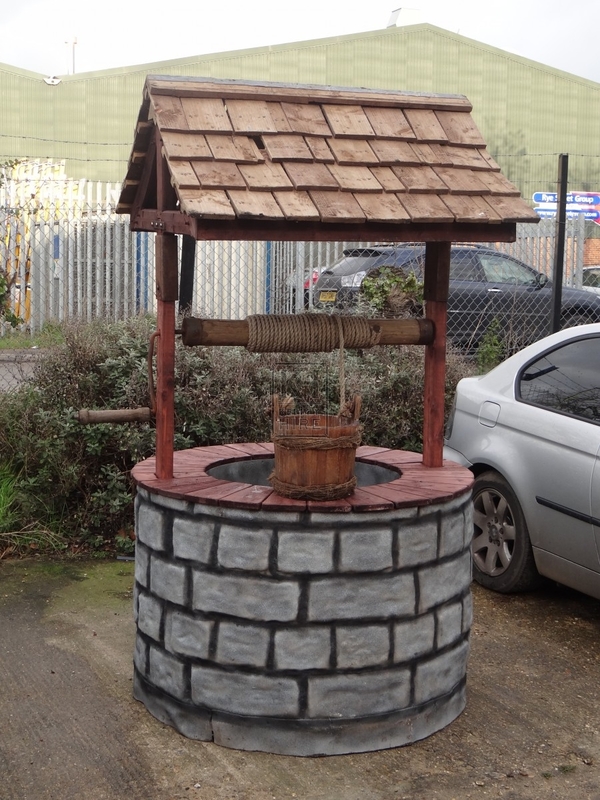 The roof, two roof struts and circular base all separate for transport. 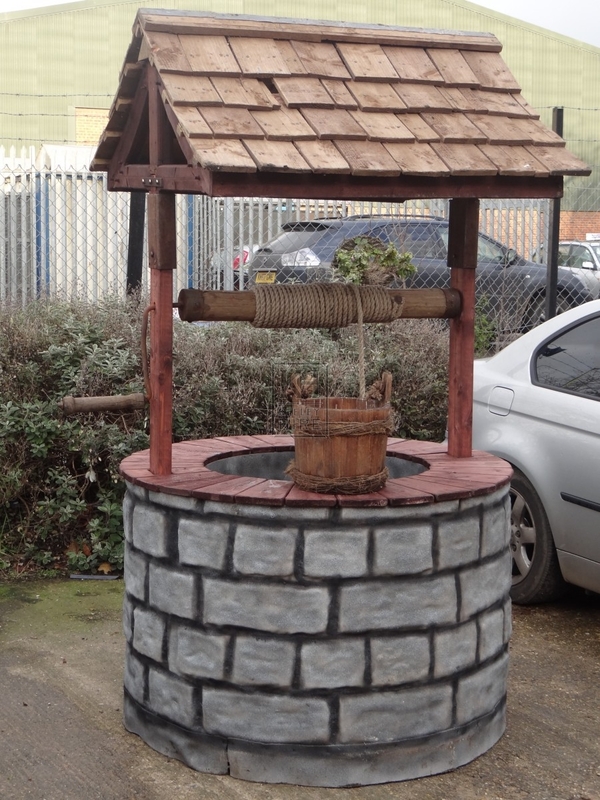 We also offer additions for a small extra fee for this Wishing Well which include a waterproof liner with small water feature pump or up-Lighters which can be set to the colour of your choice. Please make sure you measure you access doorways.